My most recently published work on chess openings is a Training DVD on the highly topical Classical Nimzo Indian 4.Qc2 , which has just been released for worldwide distribution from the ChessBase website Online Shop. The theoretical discussion includes some two dozen database texts, nearly 500 specially annotated games, a reference database of nearly 23,000 games, and a training database with about 50 quiz positions! 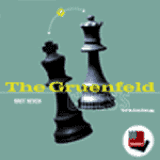 Prior to the release of my work on the Classical Nimzo Indian 4.Qc2 , ChessBase has already published my comprehensive Training DVD on the Gruenfeld Indian Defense , available from the ChessBase website Online Shop. The theoretical discussion includes some forty database texts, more than 600 annotated games, a reference database of nearly 70,000 games, and a training database with about 50 quiz positions! My first project for ChessBase was a huge two volume set of Training DVDs on the French Defense, entitled French With 3.Nc3 and French Without 3.Nc3 , both available from the ChessBase website Online Shop. The two discs have been very well received, and in fact occupied 2nd and 4th place respectively on the ChessBase Worldwide Bestseller List for the third quarter of 2000! The theoretical discussion in the two volumes comprises three dozen rather very extensive database texts, together with some 3,200 annotated games, and a reference database of more than 116,000 games. I've been very impressed by the author's previous work for ChessBase, including his two Training DVDs French Without Nc3 and French With Nc3 , so I had high hopes for this DVD going in. I wasn't disappointed. Once again Neven has placed the emphasis on ideas rather than rote memorization of variations and this is as it should be. His section on Themes should be required reading for anyone wishing to play the Classical Nimzo well. 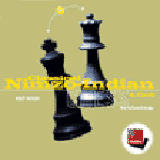 Classical Nimzo Indian 4.Qc2 is an impressive work, with an extensive amount of material presented with all the thoroughness and clarity which we have come to expect from Knut Neven. 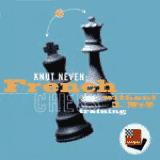 In the series Chess Training, ChessBase has released two DVDs about the French Defense by author Knut Neven, who is the editor of Canada's national chess magazine En Passant . On the first DVD all variations after 1.e4 e6 2.d4 d5 3.Nc3 are covered, while the other DVD is about the rest. What follows are 15 database texts, and here we see the big advantage that DVDs have over books. Many opening books, these days, have a small number of pages containing what should make you understand the opening. But this part is almost always far too short to give you even a vague idea of what's going on. More importance is always given to the theory itself, which often leads to books that are good for experienced players but very inaccessible to beginners. But on this DVD all the space that Neven needs is filled. In the excellent Historical Introduction we read how the French Defense developed in the 20th century, and the author adds lots of quotations of players such as Petrosian, from the long list of books he consulted. The two DVDs together contain a main database of more than 114,000 games, about 2,000 of which are annotated. These analyses are quite good because, again, Neven quotes a lot of different authors, sometimes even within the space of one game. An interesting way to enter this database is via the Strategy Key, where you can search for various themes and ideas, again providing a nice extra feature over and beyond a book. In conclusion, of the Training DVDs published so far by ChessBase, these two are certainly among the best. Especially players with little experience with the French Defense will benefit from the huge amount of explanatory texts. But you will have to do some work yourself as well with the database to collect all the relevant theory. One such package contained my long awaited copy of Knut Neven's new Training DVD French Defense Without 3.Nc3 . I have been a French Advance player for most of my chess career, although I tend to prefer those dubious gambit lines, so I was really interested to see what he had to say in this, the second of two volumes on the French Defense. Neven first covers diverse and unusual variations such as the King's Indian Attack and the Wing Gambit, takes a surprisingly dynamic approach to the Exchange Variation, then deals thoroughly with the Advance Variation including my beloved Nimzovich and Milner Barry Gambits, followed by a huge amount of explanatory text material in the Tarrasch Variation! In fact, what distinguishes Neven's work on this and his other French Defense DVD is his attention to the ideas behind the variations. Instead of just doing a database dump and spitting forth endless reams of variations, Neven takes the time to actually explain what's going on! This is a huge help to the average player, since understanding the ideas behind the opening is much more important than memorizing variations. In my opinion, this DVD is excellent for anyone from intermediate level upwards. Titled players will appreciate the wealth of games included on the disc, while intermediates will benefit greatly from the huge amount of readable and easily understandable text instruction. 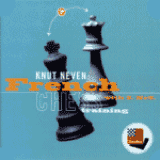 French With 3.Nc3 by Knut Neven, the renowned editor of Canadian chess magazine En Passant , is the first in a series of DVDs on the French Defense. As the title indicates, this first volume covers the lines after 1.e4 e6 2.d4 d5 3.Nc3. The introductory texts alone provide a great deal of theoretical knowledge on the variations, even before you load any of the games and play through them. The texts are pretty extensive; in print form they'd comprise a short book even without any illustrative games. The heart of the disc, of course, is the 44,000 game database. Doing an annotation search in ChessBase for games containing variations and any text turns up over 3,200 games with variations and notes, some of which are very extensively annotated! And Neven, bless his heart, hasn't forgotten correspondence play, the great laboratory of chess! There's a generous helping of correspondence games included in the database. A point I've been harping on in ETN for the last three years is that knowing the ideas of an opening will take you farther than just memorizing variations. Neven has covered this, too, with extensive Themes & Plans explanatory texts for each of the important French Nc3 branches. Knowing the ideas is going to help you immeasurably, especially in cases where you've forgotten specific move orders. Each theme text has links to special Thematic Keys, which present you with all the games in the database containing that particular idea. This gives you an opportunity to gain strategic knowledge to plan your middlegame without resorting to generally useless memorization of exact opening lines. Knut Neven's French With 3.Nc3 is possibly the most extensive reference source to date on these opening lines, and well worth a look for anyone who wants to play either side of this opening. The DVD also contains a copy of the ChessBase Reader, so no other software is required for those who do not already own ChessBase or Fritz. The DVD is suitable for intermediate to advanced chessplayers.